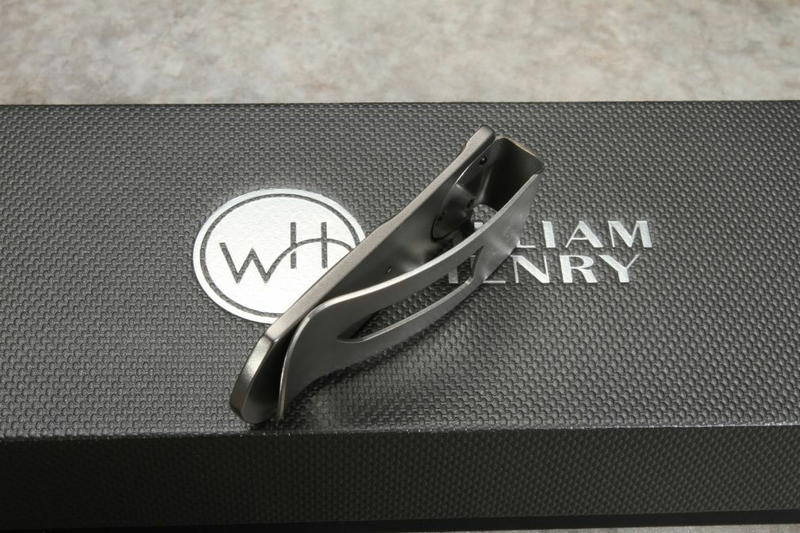 William Henry combines the finest materials and workmanship into an everyday carry (EDC) accessory that any man will enjoy. The M3 Twist has a frame of aerospace grade titanium, making it extremely light and strong. The frame is machined for increased positive handling and texture. The forged twist pattern mokume is hand contoured for a smooth seamless fit. 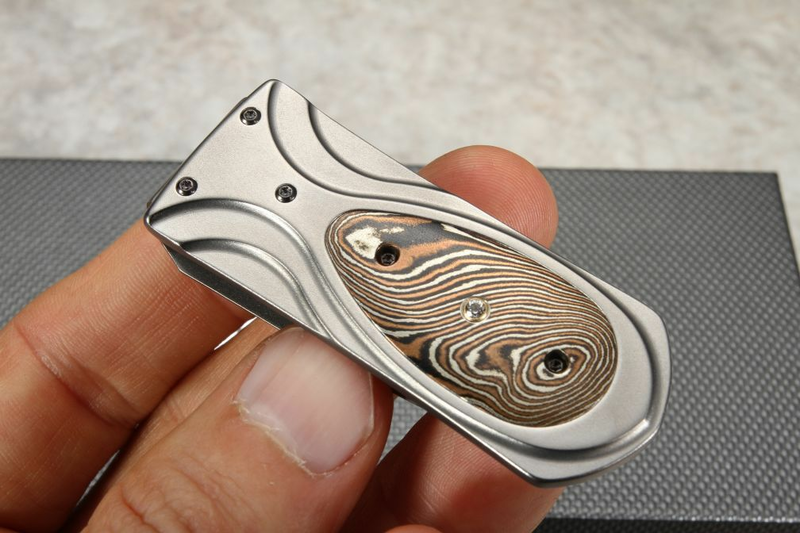 Mokume while similar to damascus steel, is made of non-iron metals that can include copper, nickel, and brass. 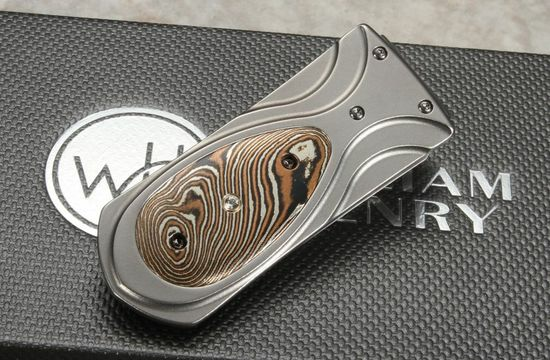 The mokume on this clip is hand forged by Mike Sakmar in the USA. 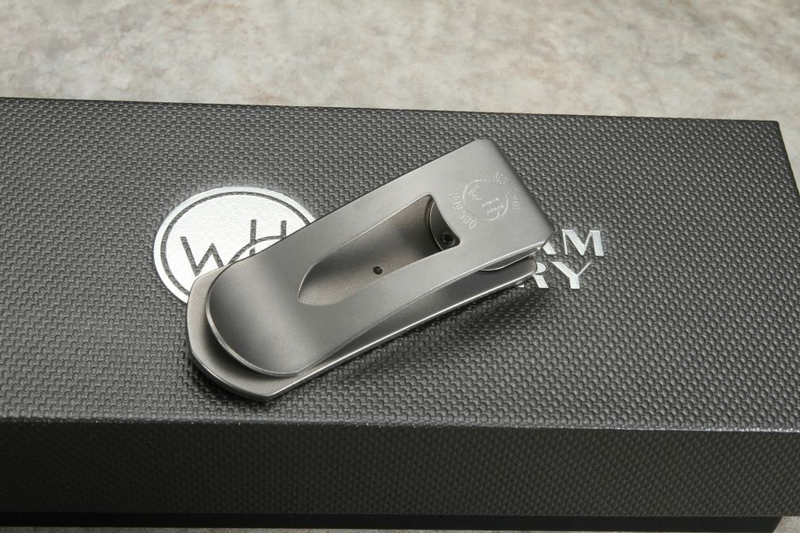 The money clip is made of springy and durable stainless steel. The clip will handle an ample amount of cards or currency. The WH money clip has a modern carbon fiber inlay that is completed with a white topaz gem and anodized titanium screws. Perfect as a gift item or every day carry item. Each 'Twist' is individually numbered as part of an edition of only 500 items and comes with a certificate and presentation box.